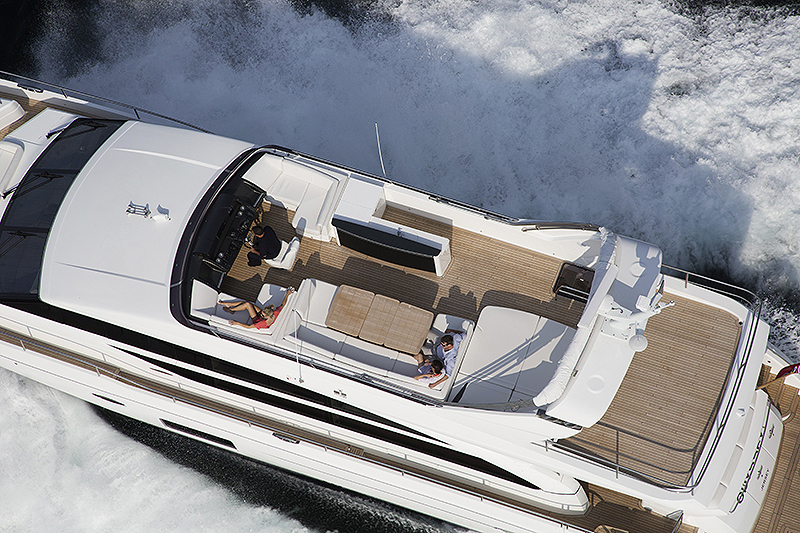 Enjoy long-distance motor yacht cruising over a wide range of speeds, up to an impressive 34 knots. 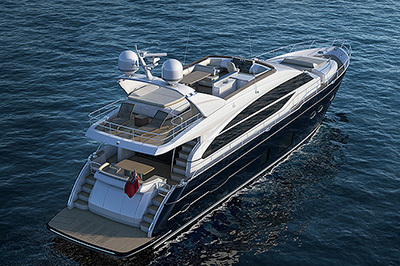 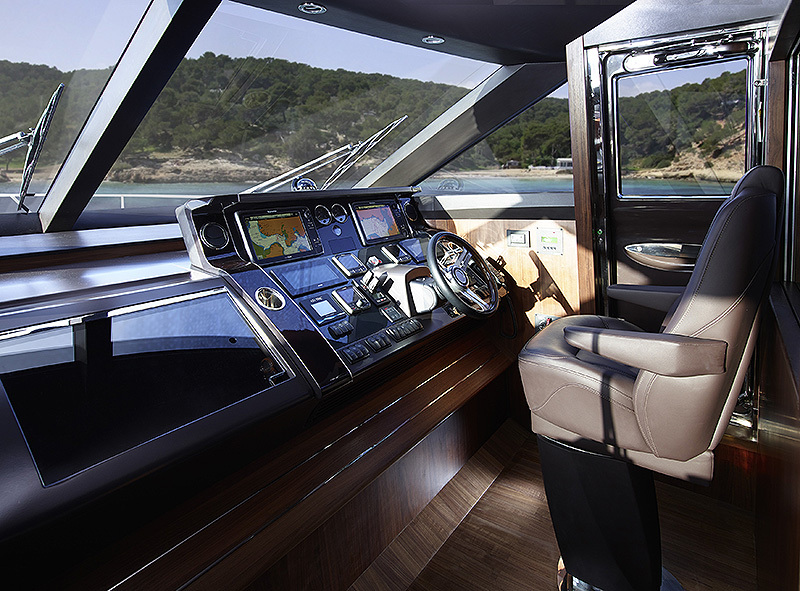 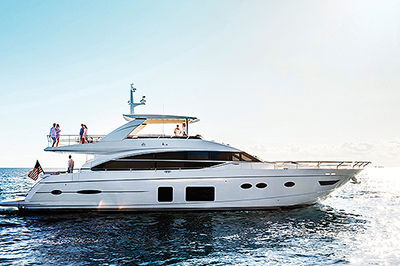 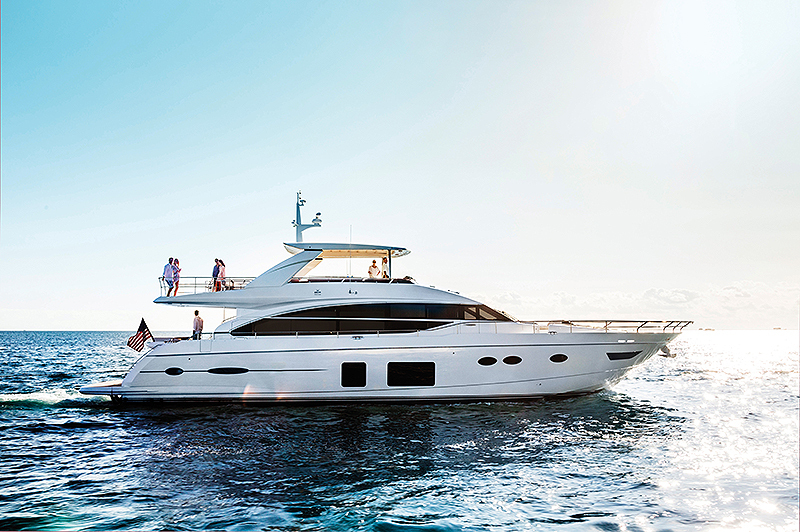 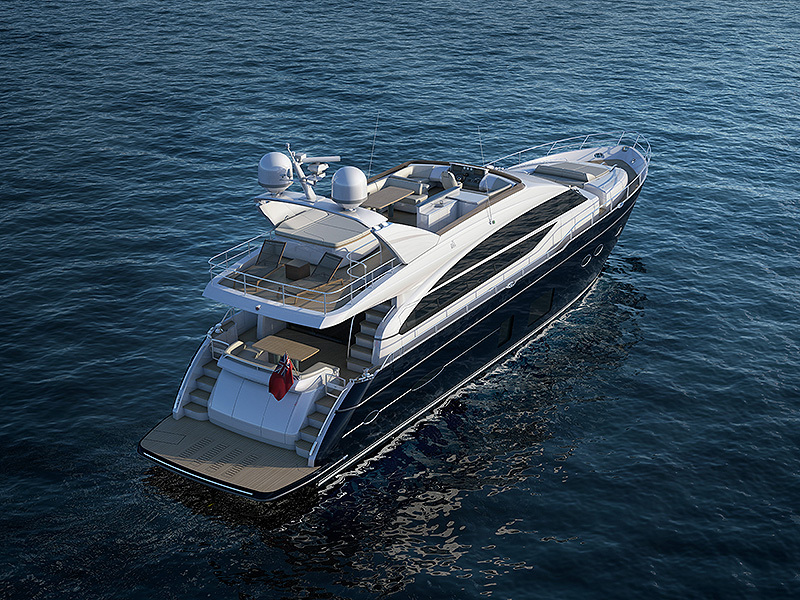 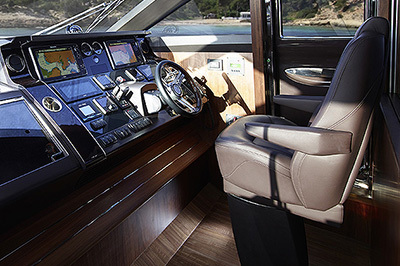 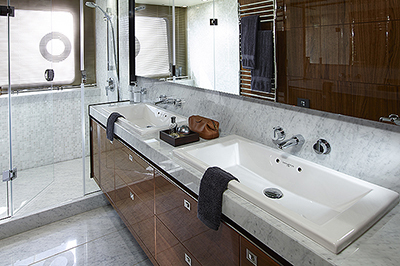 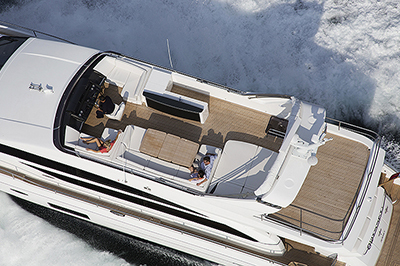 The 82’s unique deep-V hull design inspires confidence in all conditions. 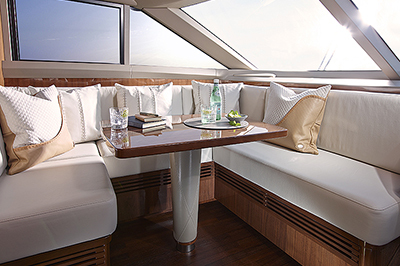 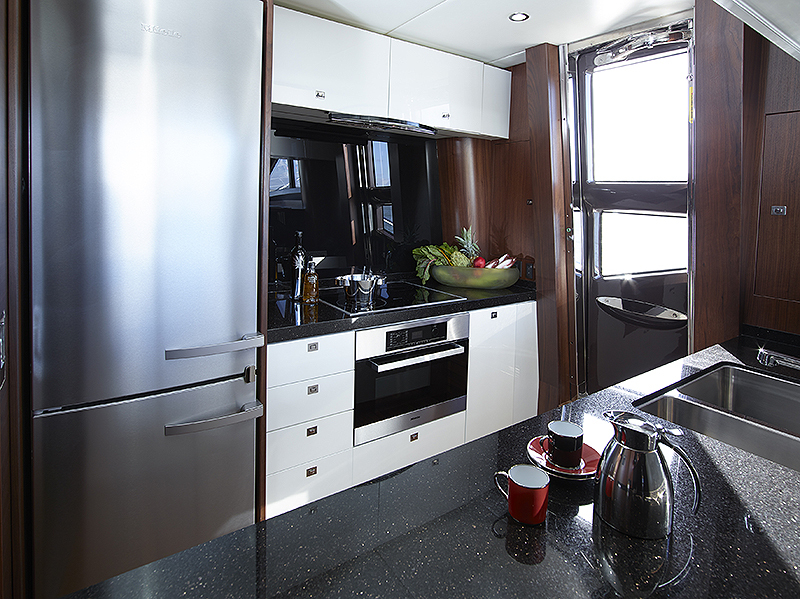 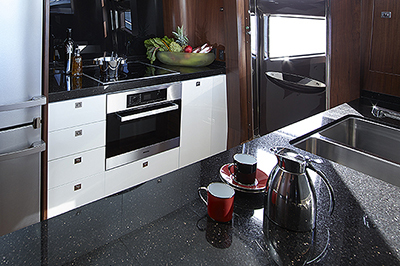 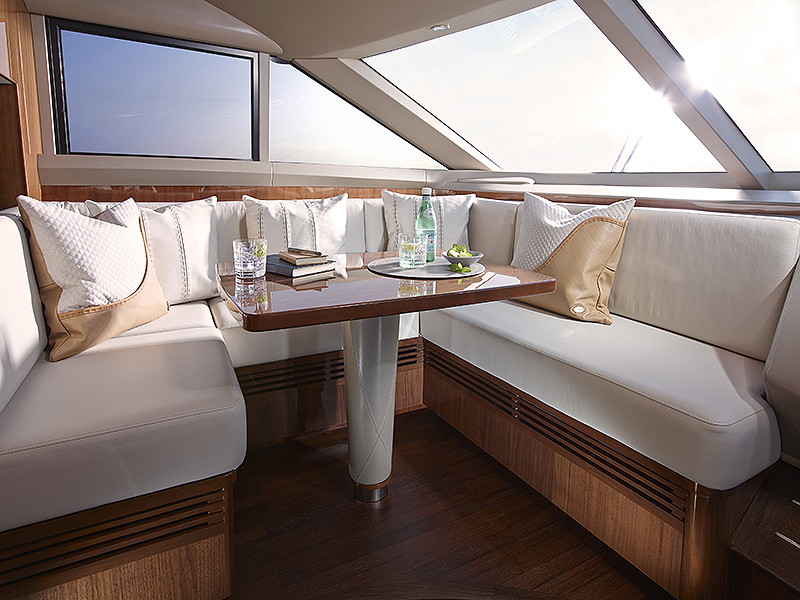 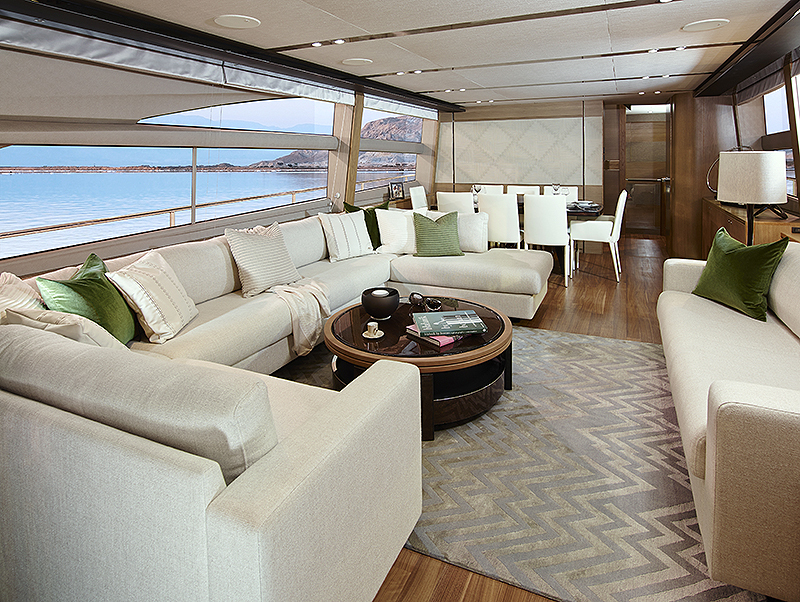 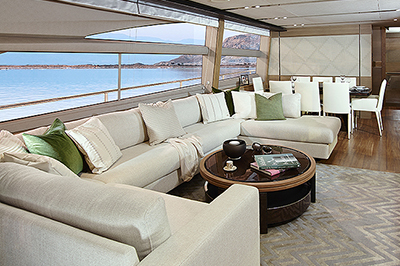 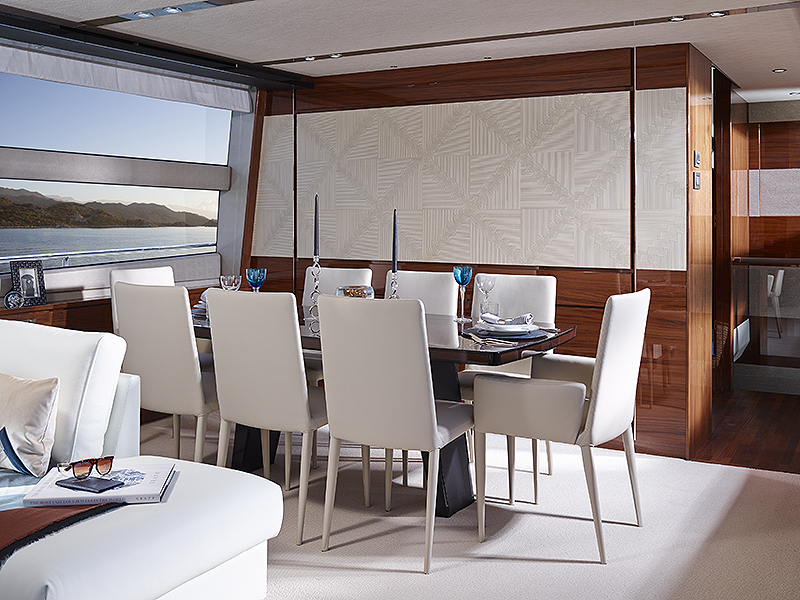 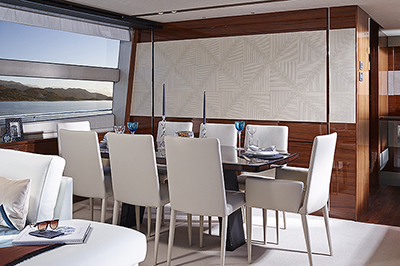 The light-filled main deck saloon incorporates relaxed, low-level furniture and a dining area which can be specified as open to the galley for a sociable entertaining space. 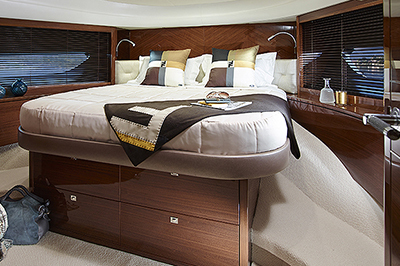 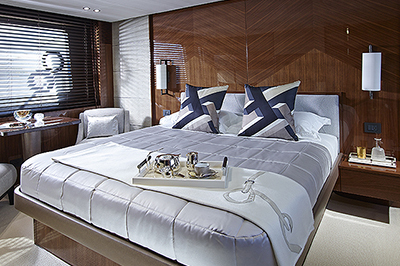 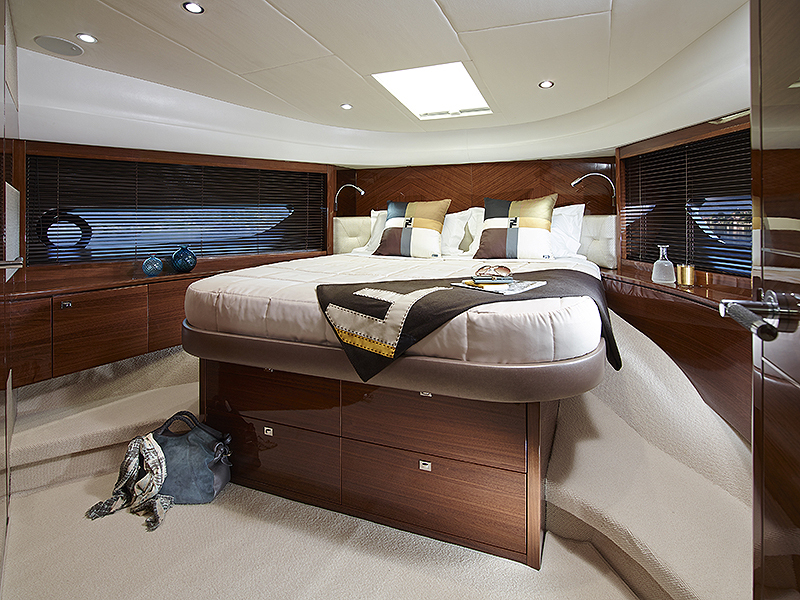 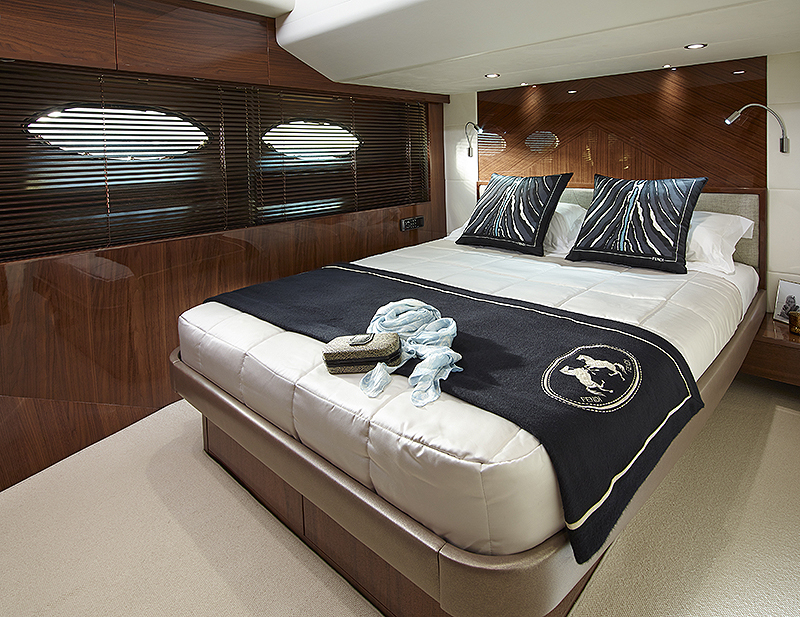 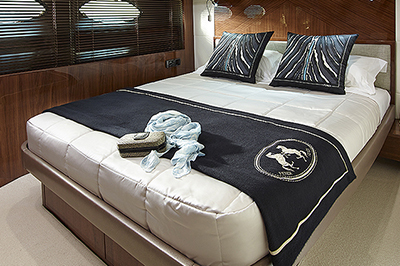 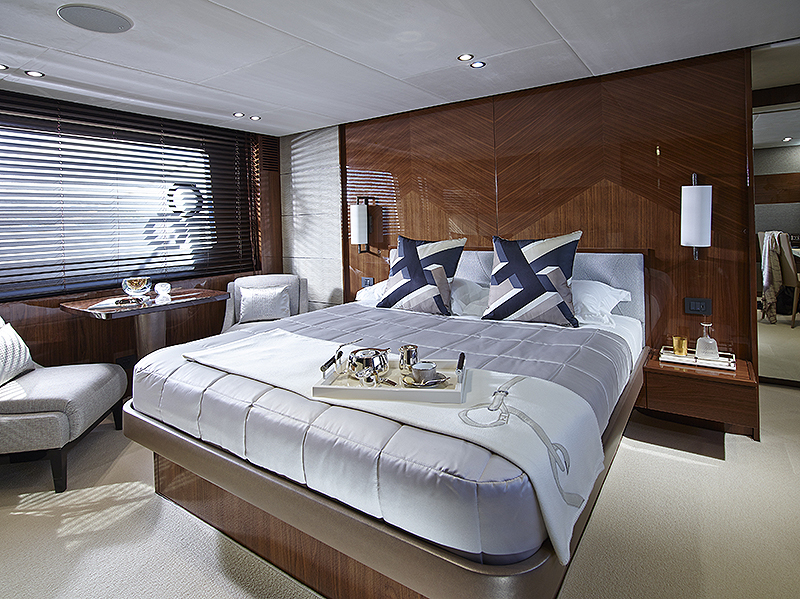 There is also the option of a day head on the main deck. 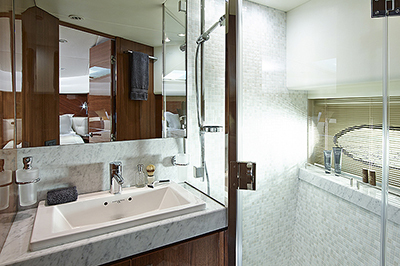 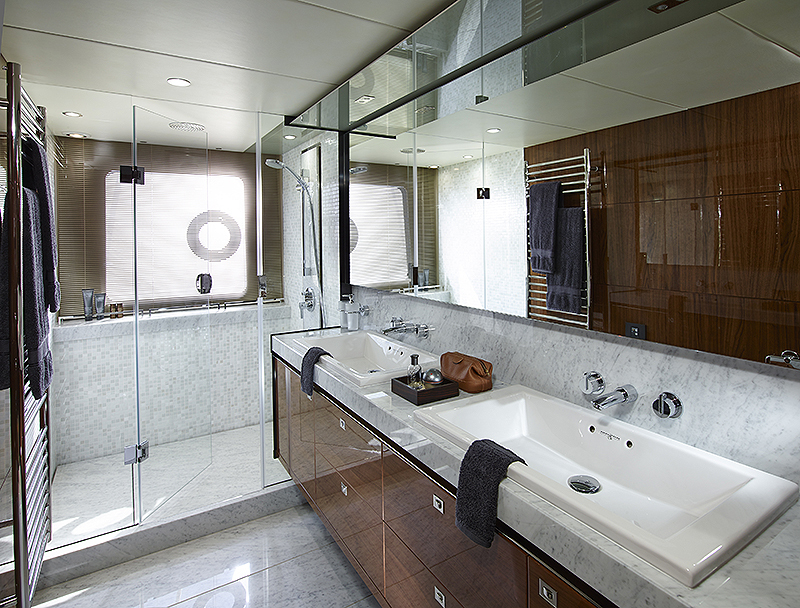 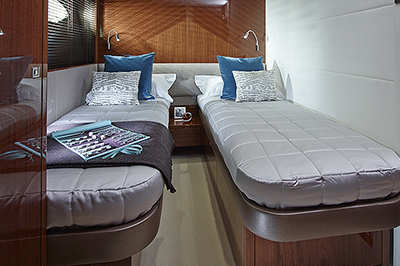 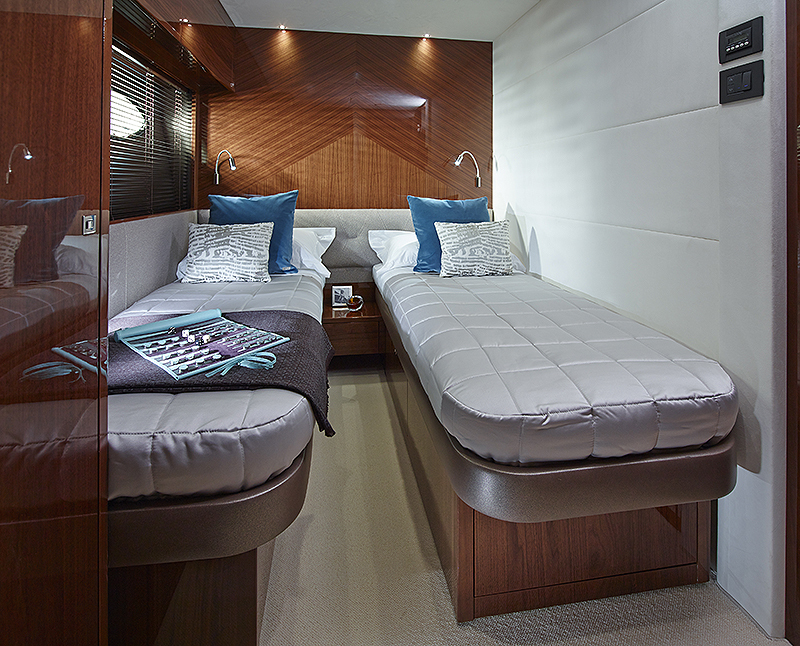 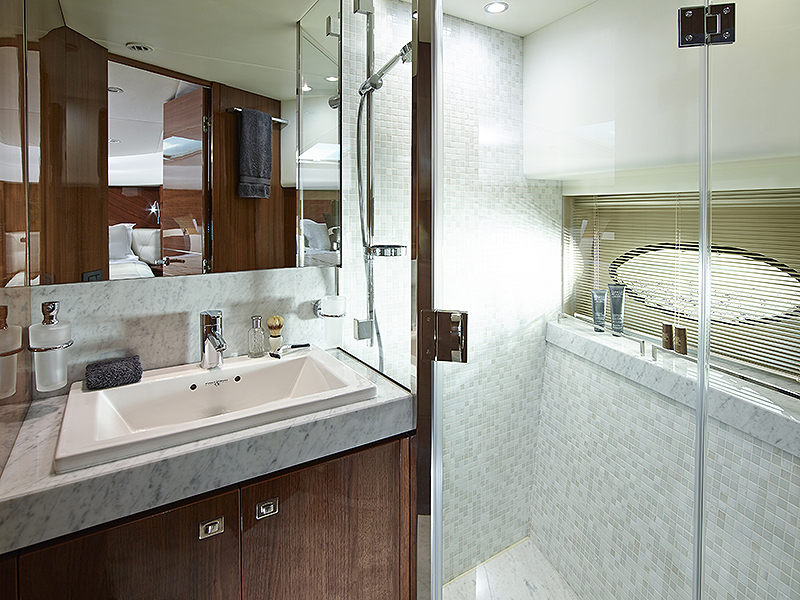 On the lower deck you will discover four beautifully appointed en suite cabins, including the luxuriously finished full-beam master stateroom.